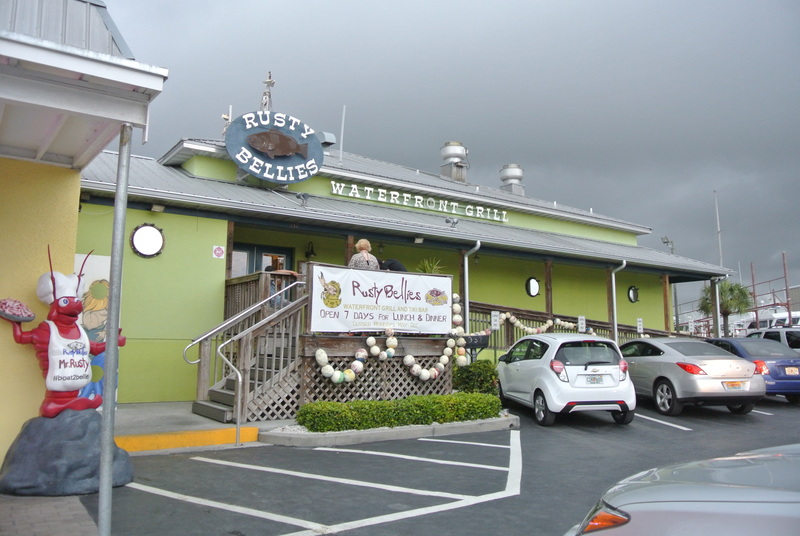 The last time I was in Tarpon Springs I had some of the best steamed seafood here at Rusty Bellies so I had to go back. And yes, I ordered the same thing. I couldn’t help myself, the Rusty pot belly was so good the first time around I needed to eat it again. 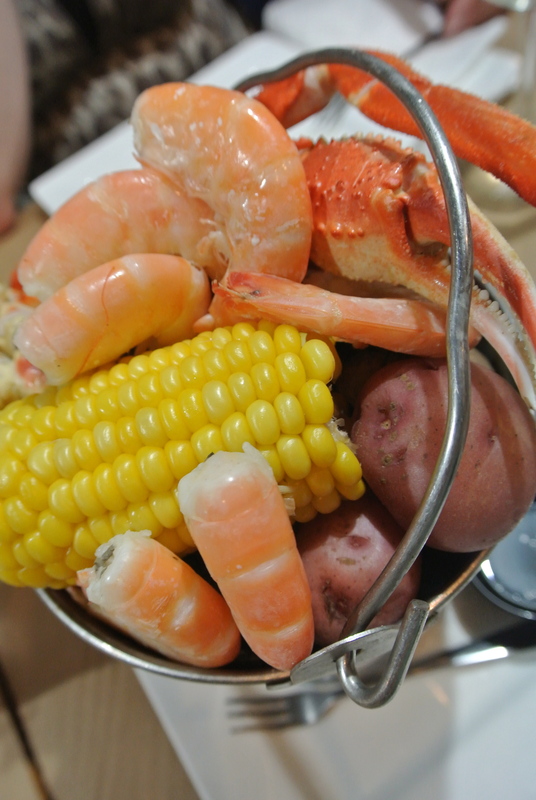 Its a full bucket filled to the brim with steamed shrimp, oysters, clams, mussels, snow crab, corn and potatoes – so fresh and delicious, they catch their own seafood that supplies both the seafood market and restaurant. To start the meal, a paper bag full of their famous hush puppies. 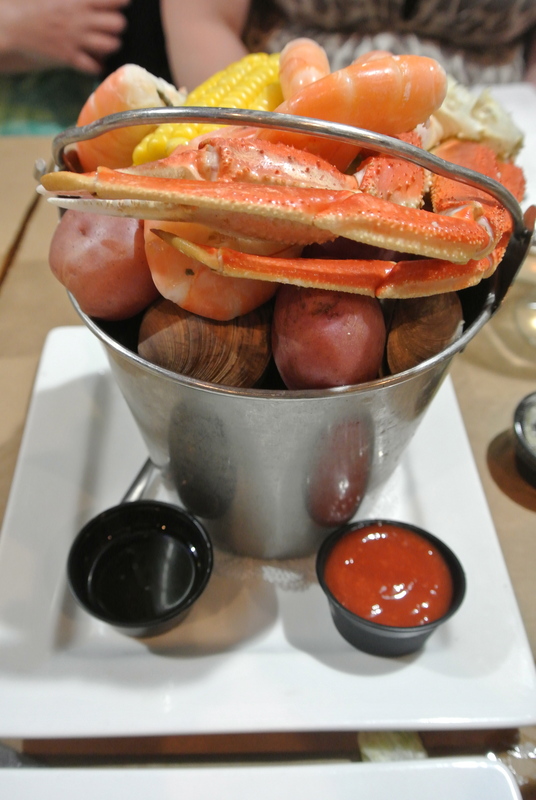 Perfectly fried morsels of dough – I could eat bags of this stuff, that’s how good it is 🙂 Tarpon Springs isn’t a big destination spot in Florida but if ever in the area, Rusty Bellies is worth a stop! 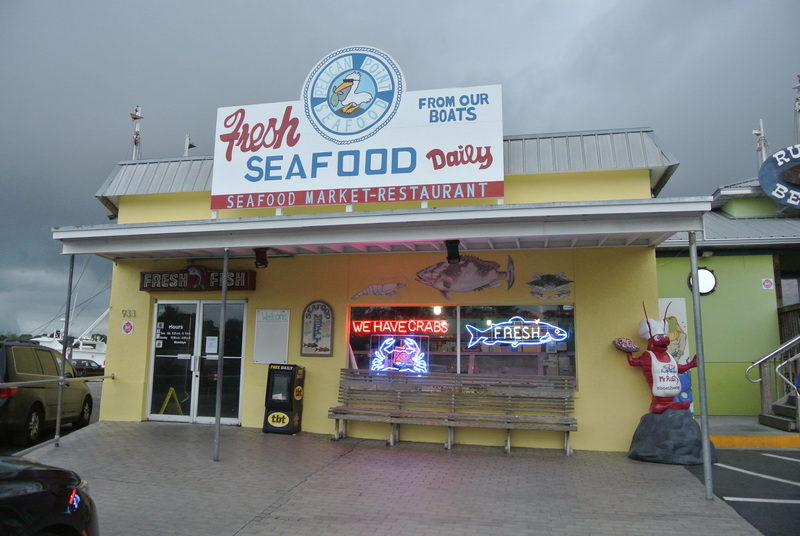 Attached to the seafood store is Rusty Bellies, a popular restaurant along the Sponge docks. Rusty’s pot belly – full portion ordered here. A closer look at the pot belly. 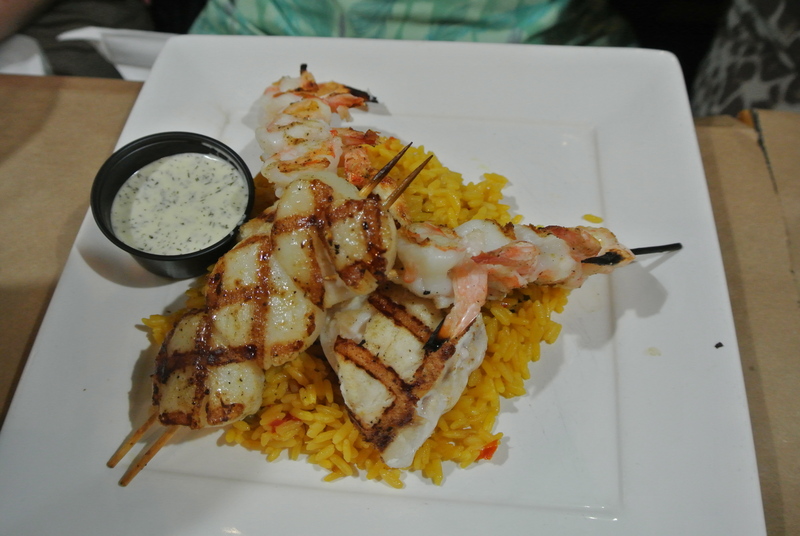 A trio of grilled shrimp, baby bay scallops and grouper served over rice. 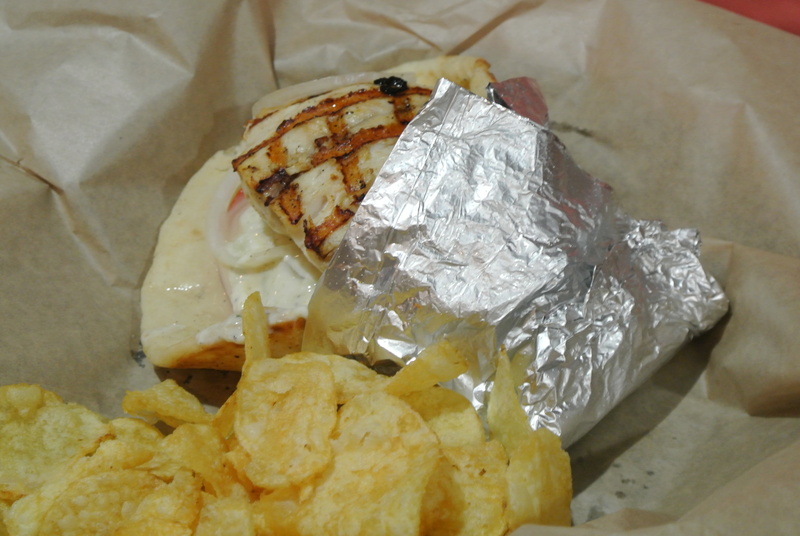 Grouper souvlaki grilled with tomato, onion and tzatziki served in a warm pita. 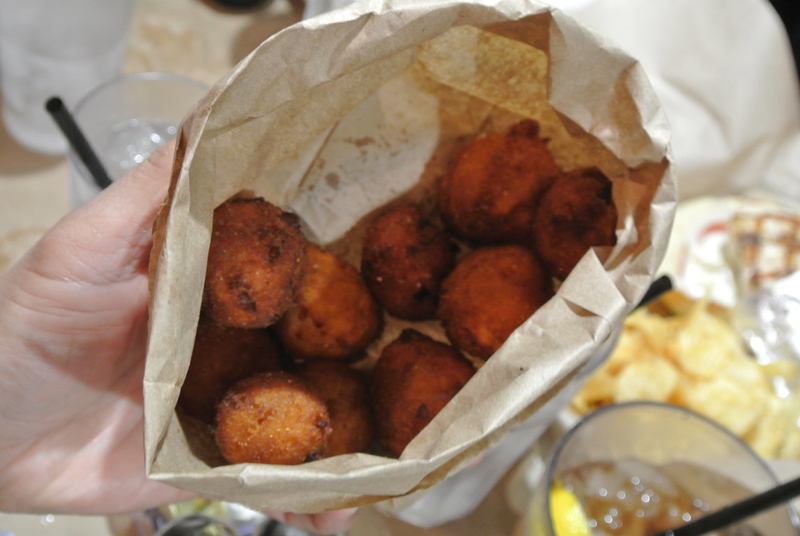 The famous Rusty Belly hush puppies served in a paper bag. 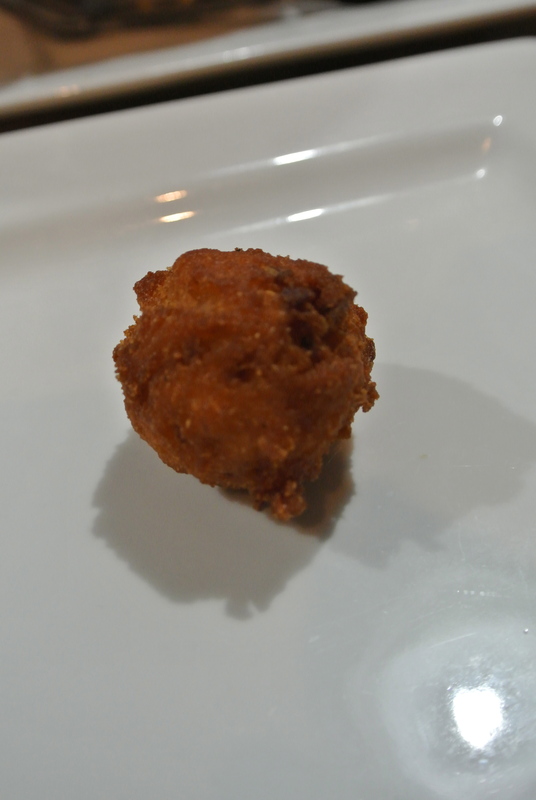 A close up of the delicious hush puppy. 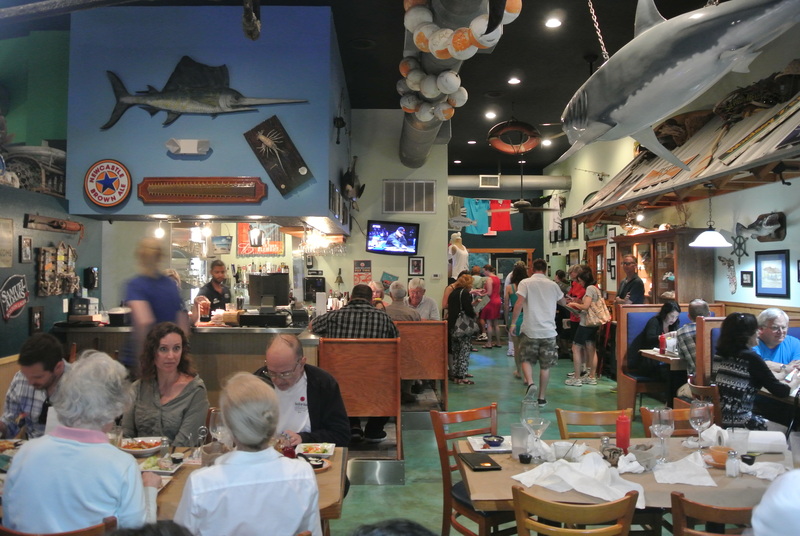 Tarpon springs is a great place to visit and we're always looking for great places to eat as we don't eat out much. Great recommendation! !